Join Lisa Lim and volunteers from R.U.M. and Nature Society Singapore (NSS), Marine Conservation Group to clean up this site before we start restoration. Come visit Ubin, learn more about Ubin mangroves and R.U.M., and make a difference for them! Only registered participants may join us as we have limited capacity for both ferry and van transport. More details on the NSS website. 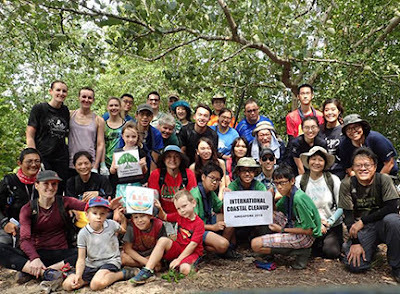 This public group is for everyone who loves the mangroves of Pulau Ubin. Get updates on R.U.M. happenings and more! For registered R.U.M. volunteers: get updates on volunteer opportunities, sign up for volunteer activities. Thanks to Nor Lastrina Hamid for this video clip about R.U.M. and how you can make a difference for mangroves at Pulau Ubin! 8 Oct 2016: Free Pulau Ubin Mangrove Walk by Restore Ubin Mangroves (R.U.M) Initiative from Rina Lim Zui Hou on Vimeo.